At the behest of another local food blog that shall remain nameless (and will NEVER be read again), I was coerced into stopping by Carolyn's Gourmet Cafe on a random Saturday afternoon. I'd driven by this place a million times while cruising thru the city. Not once did it ever occur to me to stop in and grab a bite to eat. But, this blog told me that this place had some of the best sandwiches in the A. So, I dropped by. Smh. Should've kept going. The first sign of trouble came with the parking. There are 2 ways to enter the lot and BOTH of them are narrow and tight. 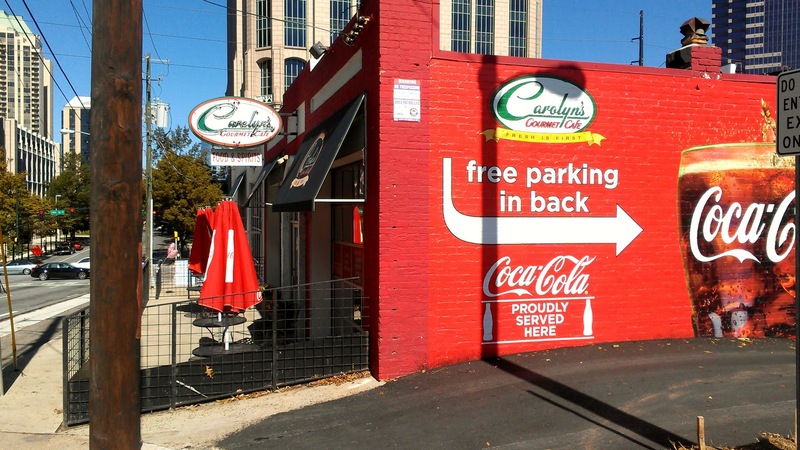 There are approximately 20 spaces there and keep in mind that Carolyn's shares the lot with a salon, a Starbucks, and a neighboring business or two. The 3 or 4 vehicles that pulled in around the same time as me ALL struggled to turn around, reverse, etc without hitting either the building, the balcony, or the already parked cars. Not the move at all!!! 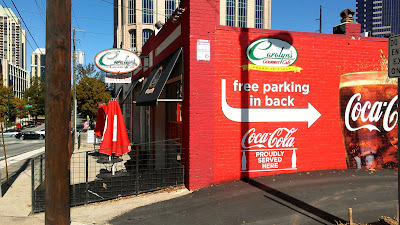 Even with my parking issues, I was still anxious to try the food here. 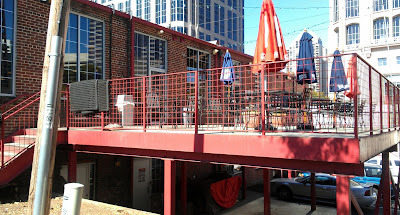 The large rear patio (which contributes the lot's lack of space) is what really got me jazzed up. 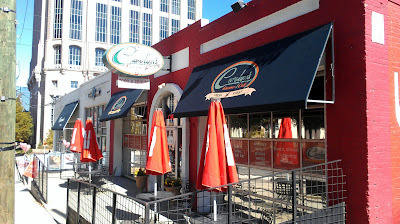 Positioned in the shadows of the tall Midtown office buildings, it really gave Carolyn's a cool city feel. Then, I went inside. The restaurant was spacious and welcoming. The University of South Carolina flags were a bit of a deterrent (since I'm a UGA fan) but it gave this unfamiliar place a more comfortable vibe. 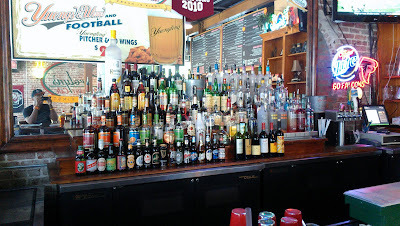 The place had a nice full bar and a decent sized menu. So far so good, right?? Well, that was until I ordered my food. After a pouring over the menu for a few minutes, I decided on the Motivation (all the items are named after positive attributes). The Motivation is a hot turkey sandwich with melted Swiss cheese, cole slaw, and Thousand Island dressing. I got a side of pasta salad to go along with it, as suggested by my very attentive server. Well, even with an almost EMPTY restaurant, my food still took quite a bit of time to get ready. I waited roughly 20+ minutes for a SANDWICH and PASTA SALAD. 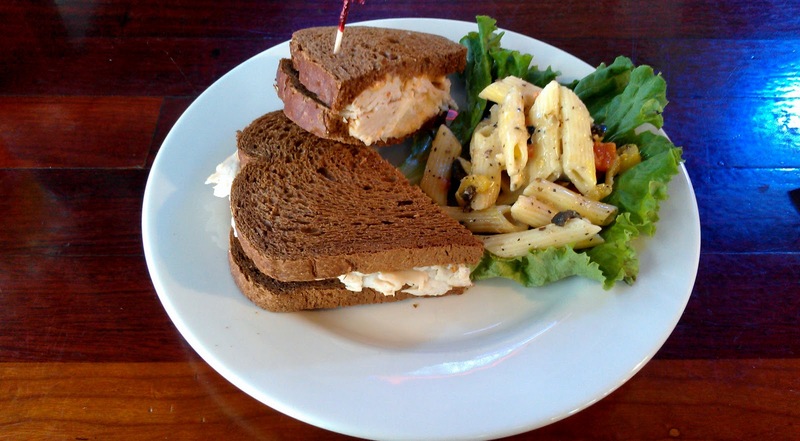 Then, when it arrived at my table, it was the most basic of sandwiches, something I could've made at my house. As a matter of fact, I HAVE made that at the house!!! And mine was 10x better!!! I bit into it and the combination of Thousand Island dressing and WHATEVER it was they put in that cole slaw was AWFUL!!! The bread was dry, the cheese wasn't that hot. 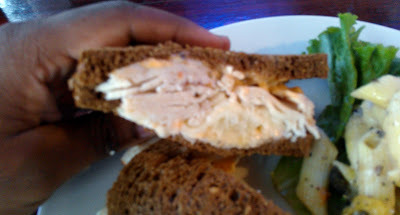 The sandwich as a whole was just a complete miss!!! I know I walked in with rather lofty expectations based on the blog that I read prior to coming but this meal was just bad for bad's sake. I couldn't believe it. As an unbiased food blogger, I always find it difficult to completely judge a restaurant based off of one item, good or bad. 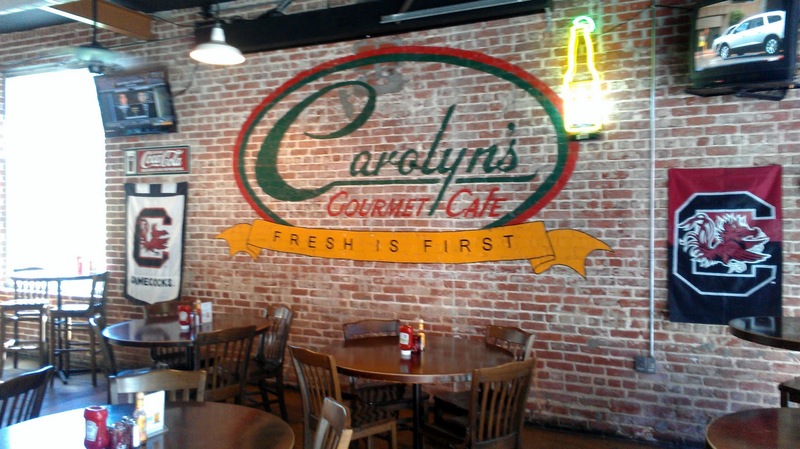 But, as a customer, I can safely say that I will more than likely not be returning to Carolyn's. At least not to EAT. I might grab a drink or something ONLY because I liked the overall environment but, other than that, I'll pass. If I want a sandwich, I'll head over to the Publix by Spring St and 9th St.
nah, cant go to this place for anything. only good thing about it is the Friday happy hour. they have free all you can eat pizza and $2 beers. Wow!!! So it's not just us huh?? Good to know about the Friday Happy Hour. How is the pizza? ?